PHOTO GALLERY: VENUS WILLIAMS as a Modern Josephine Baker. 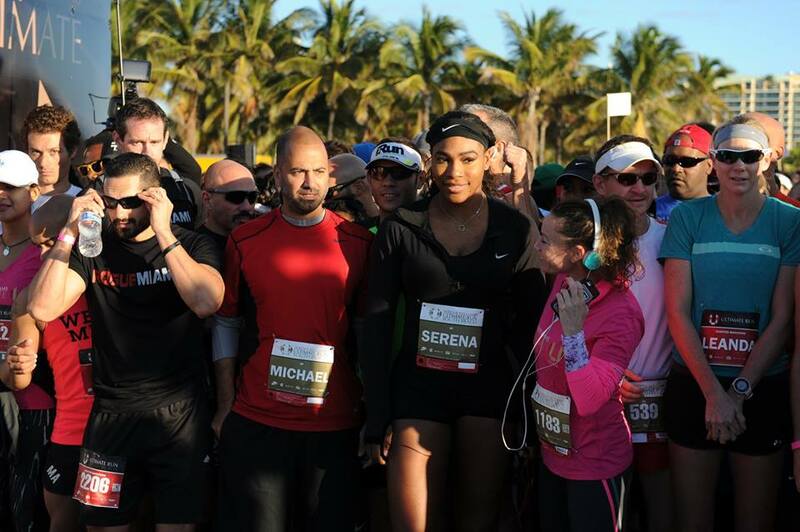 Serena Williams kick started her training for 2015 with Ultimate Run South Beach Sunday morning. 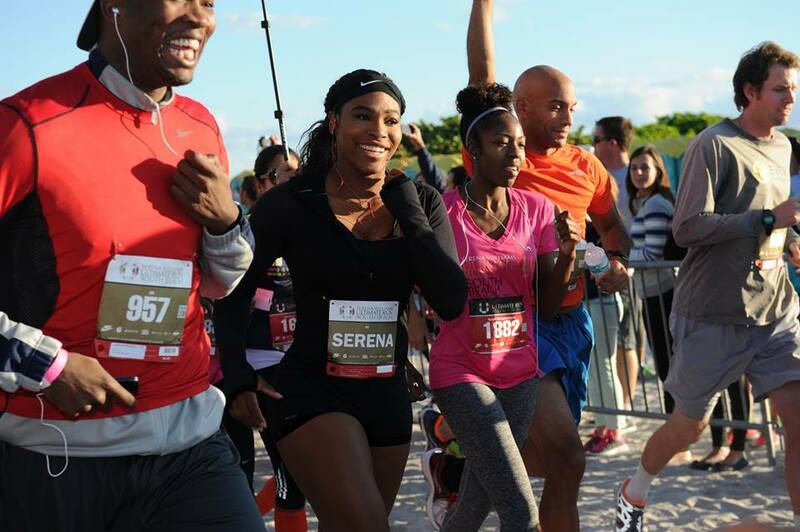 A bright sunny morning greeted the start of the 2014 Serena Williams Ultimate Run at South Beach, Florida. 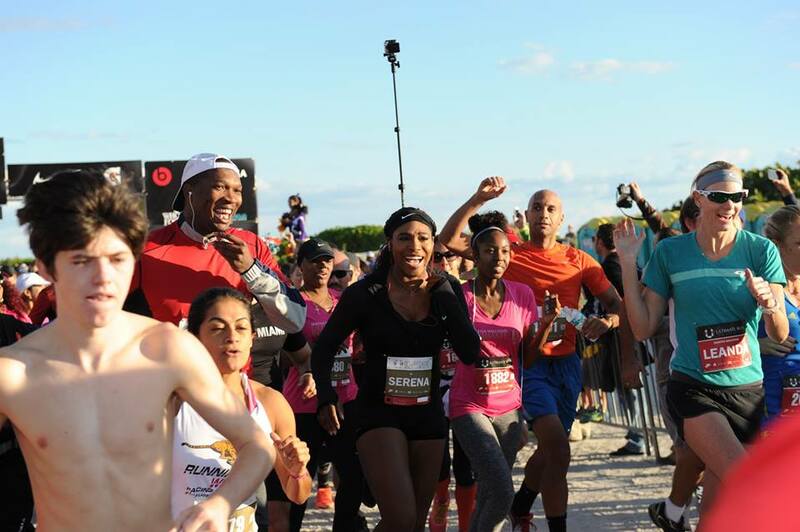 The weather was so kind, the runners in high spirits and all enjoyed a fun time for a worthy cause on South Beach! 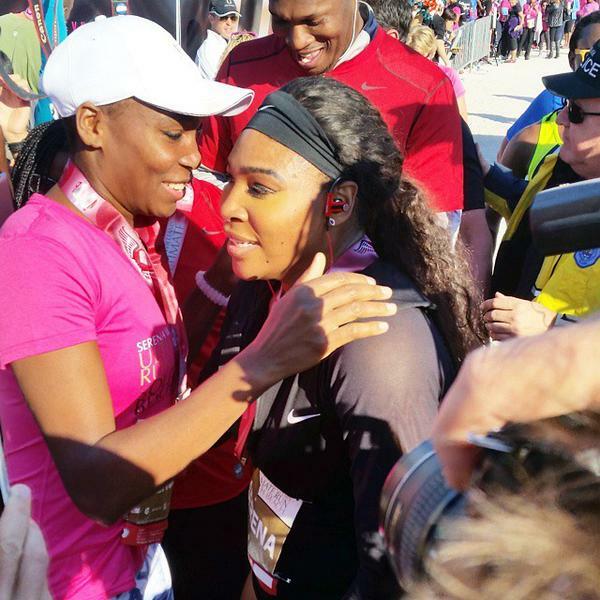 Venus supported her sister Serena’s charity event by joining the runners. 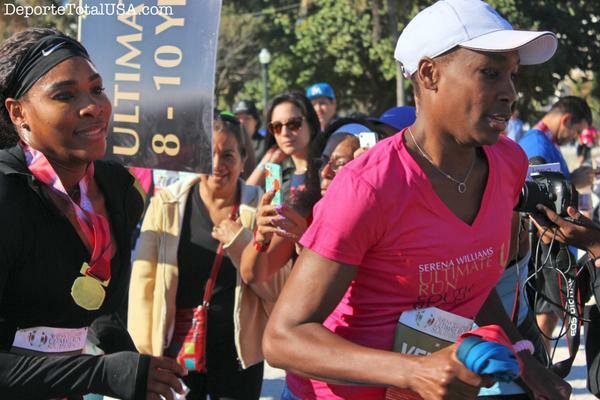 The two sisters embrace at the conclusion of their leg of the Serena Williams Ultimate Run for charity. 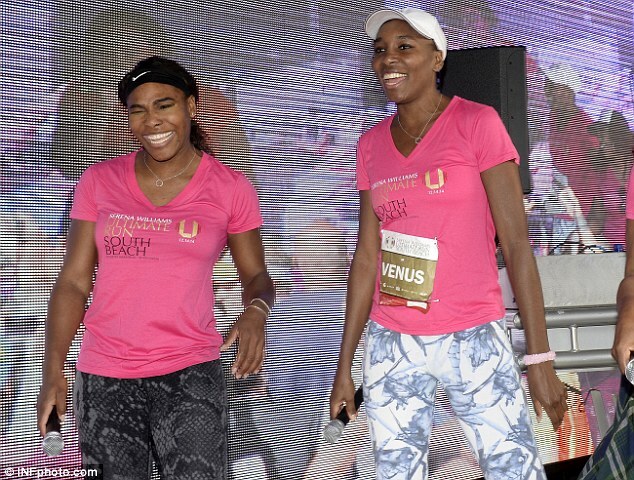 Together the two Tennis Stars delighted the crowds performing Karaoke singing once the run was over! 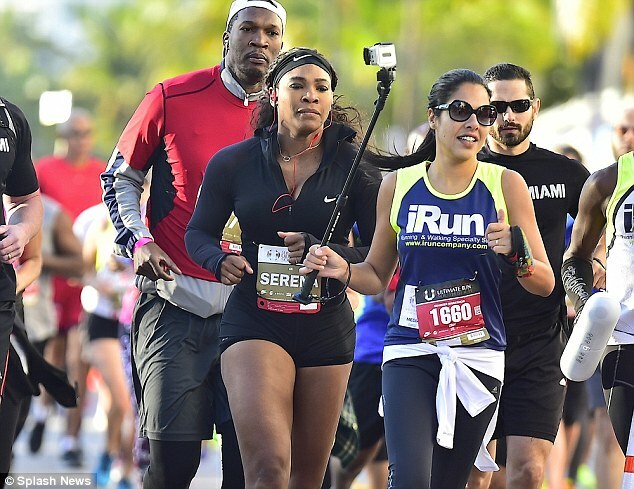 The “Serena Ultimate Run”, which included either a five kilometer or quarter marathon option, is a fun-run benefiting the “Serena Williams Fund” which supports victims of violent crime. “It is the hope of the Serena Williams Foundation to continue to [bring about] change in the lives of children who have been negatively affected by violence in the US,” says Williams. The foundation’s efforts are two-fold: First, it provides financial support to kids whose families are affected by violent crimes (Williams’s own half-sister was killed by a gunshot in 2003). The tennis player now raises money for families working to rebuild from tragedy, helping them secure counseling, daycare, housing, food, and education.